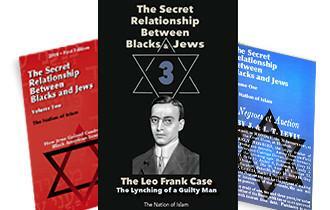 (AUDIO REPLAY): Rockford's Nation of Islam Student Minister, Yahcolyah Muhammad, speaks on the subject of mental and spiritual resurrection and how Black unity yields Black power as proof of life. Explaining from both the Bible and the Holy Qur'an that the "resurrection of the dead" is in fact a process based upon the "renewal of the mind," and "love of the brotherhood," he challenges his audience not only to be "hearers of the word, but also to be doers of the word" as an old world goes out and a new world comes in. "Wisdom is the principal thing; therefore get wisdom: and with all thy getting get understanding." (Proverbs 4:7). "He grants wisdom to whom He pleases. And whoever is granted wisdom, he indeed is given a great good. And none mind but men of understanding." UPDATE: Contact Sis Rahsheemah @ (779) 770-3817 for Women's class info. However, Ice Cube, Nipsey’s West Coast predecessor and elder—or “O.G.”—in the rap game and one of the founding fathers of the hip-hop genre known as “gangsta rap,” has been blazing big time business trails of his own for the past two decades. 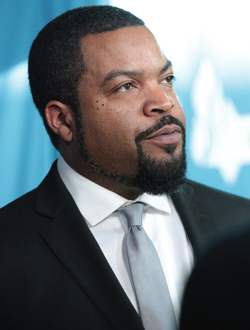 Many are familiar with O’Shea “Ice Cube” Jackson, either from his days as a rapper in the group “N.W.A.,” or from his acting roles in popular movies such as “Boyz In The Hood,” and the “Friday,” “Barbershop,” and “Are We There Yet?” series of films. However, in 2017, Ice Cube decided to delve into previously uncharted business waters by getting involved in professional sports as one of the founders of the BIG3 professional 3-on-3 basketball league. The BIG3 features 12 teams coached by former NBA All-Stars and Hall of Famers, with rosters made up of players who have all competed professionally, either in the NBA or overseas. The BIG3 league has become one of the premier events for basketball fans during the summer, a time when there isn’t a lot of competitive professional basketball going on. Now entering its third season, Ice Cube is looking to take the next step in not only raising the profile of his professional basketball brand, but his personal profile as a Black business mogul. 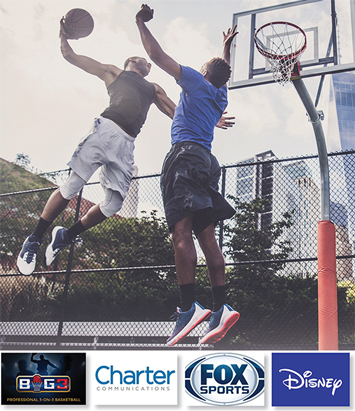 In early April, with his FOX Sports contract having expired at the conclusion of the 2018 BIG3 campaign, the league inked a new deal to have games televised on the CBS network. However, armed with a high-profile group of investors with deep pockets of their own, Ice Cube has a much bigger vision. But reaching that goal won’t come without challenges, or a fight. “The BIG3 is not part of the old boys club and that doesn’t sit well with a company like Charter, which has been called out many times for unfair treatment of minority organizations and for consistent disregard of its own customers,” Ice Cube said in a statement regarding his investor group’s bid to purchase 21 regional sports networks (RSN). The channels include networks in markets such as Atlanta, Dallas, Detroit, and Los Angeles. Ice Cube and the BIG3, should they win the bid, would then have the foundation in place to build a brand new national network with original programming, sports, and other culturally relevant content. 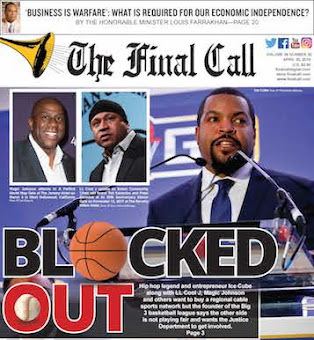 In an April letter written by the BIG3 to the Federal Communications Commission and the Department of Justice, the company accused Charter Communications of interfering with the BIG3’s investment group—which includes Ice Cube, fellow hip-hop legends LL Cool J and Snoop Dogg, basketball Hall of Famers Magic Johnson, Julius “Dr. 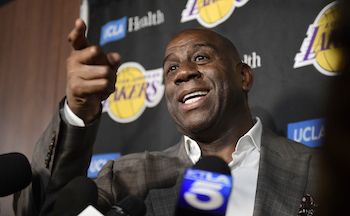 J” Erving and Clyde Drexler, tennis star Serena Williams, comedian Kevin Hart, and other prominent figures in sports and entertainment—bid to purchase 21 regional sports networks currently owned by Disney, which the company acquired in its recent merger with FOX. Disney has until June to sell the RSNs if they want to avoid antitrust issues in the future. BIG3 said that Charter threatened to drop the RSNs from the cable networks it owns should they come under new ownership. Preemptively making this threat would effectively lower the current $10 billion price package. However, what makes the move curious is that Liberty Media, Charter’s largest shareholder, is also bidding for the RSNs. Charter has been accused before by a Black man for biased practices. In 2016, Byron Allen filed a $10 billion discrimination suit against the company, accusing them of not giving networks owned by minority groups the same broadcasting opportunities as White-owned media companies. “In response to our filing, Charter says they are willing to talk to ‘whomever.’ Given their consistent animosity toward diverse ownership groups with inclusive messages like ours, we say we don’t believe them. Anyone who looks at the facts won’t either. They have done everything they can to keep us from owning these RSNs and that’s why we have asked the FCC and the DOJ to investigate,” Ice Cube said in a statement. The BIG3 met on April 17 with the antitrust division of the DOJ, two days after the deadline to enter bids for the RSNs. Others in the bidding include conservative media company Sinclair Broadcast Group, Major League Baseball in partnership with Liberty Media. 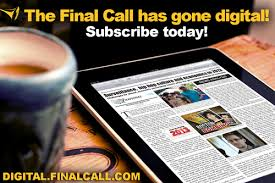 At Final Call press time, it was unclear if anything regarding the sale had been resolved. Cori Harvey, an attorney who specializes in business law, economics and entrepreneurship, said the mere fact that Ice Cube, LL Cool J, Serena Williams and other athletes and entertainers have joined forces to purchase the sports channels is deeply significant. He predicts a ripple effect on Blacks and the larger Black community. Dr. Wilmer Leon, III, agreed. Dr. Leon, who teaches at Howard University, said it is gratifying to see this clique of celebrities coalescing around a common goal. It’s important, he added, that the group appears to have the financial wherewithal to withstand whatever challenges they may face. Ms. Harvey said, without knowing all the details, if Charter and Liberty Media may have engaged in, these tactics, it may be simply cut throat business as usual. Ms. Harvey said she’s struck by the positive turn this development represents. Dr. Leon argued the ownership group should seek to use the venture as more than a more investment. “If your belief system is not focused on the liberation of your people, it’s a waste of time,” he said. ROCKFORD, Ill.—Nation of Islam entrepreneurs, Henry X, his wife Keishonda X, and family business partner, Celidal Barge, recently hosted the official grand opening of the Kikifer’s Beauty Supply, Salon and Conference Center, as the city’s first Black-owned and operated all-in-one business outlet. The goal of the new business venture is to serve the needs of their West Side community through the manufacturing, sale, and distribution of hair and skin care products unique to the needs of the Black community. “(For) young Black people in this city and abroad, we’re showing people that regardless to what the enemy does, that there is a way to be successful in business, and that you can make a lot of money,” said Henry X, CEO of the Kikifer’s enterprise and brand. “You can do it legally, you can do it lawfully, you can do it ethically, you can do it morally, and it can be done in an upright manner,” he said. Explaining how Rockford’s Black community recovers less than one percent of the annual $400 million it spends for local goods and services, Henry X believes that through equality of opportunity, the expansion of a Black business base, and by recirculating Black people’s dollars back into their own neighborhoods, will not only help to make local residents into stakeholders, but also into beneficiaries of the Honorable Elijah Muhammad’s ‘Do-for Self” work ethic. Although the store began operating weeks before the official April 6 grand opening, lifetime Rockford resident, and first time shopper at Kikifer’s Beauty Supply, Geneva Stewart, said she was happy to see the opening of a Black-owned business. She told The Final Call she was impressed with the customer service and familiarity of being among friends and acquaintances while visiting. “I’m excited for a Black business to be opening, and it’s new and it’s something that we need in our community because there’s a lot of other races that have come and make good money,” Ms. Stewart said. “Why not support our Black people and build and do more stuff for the Black community?” she asked. In addition to the goods sold by the Kikifer’s Beauty Supply store is the “services side” run by Kristina Dismuke, a nail tech, whose business offers Rockford’s West Side residents’ quality, courtesy and excellent customer service. She said she hoped to serve as an example for others to gain the skill sets necessary for becoming business owners themselves. Ms. Dismuke also believes that color is not a barrier to success when you work hard and care first and foremost about your community and the people in it. “There are very few of us, so for me to be out here to maybe encourage somebody else of color to do the same thing, or to maybe get in something that’s involved with something similar to what I’m doing, I think it’s great,” Ms. Dismuke said. “Don’t let your color be a barrier, or a limit, to what you can do. Let your color give you more of an advantage to pursue your dream, to pursue what you want to do, and don’t let anybody stop you and tell you that you can’t do it,” she said. Aprel Prunty, a local community activist and advocate for improving the quality of life for residents of the city’s West Side, agrees. “I am so happy for Brother Henry and Sister Keishonda, and I think this is a wonderful step towards uplifting the community as well as bringing the African American community together,” she said. 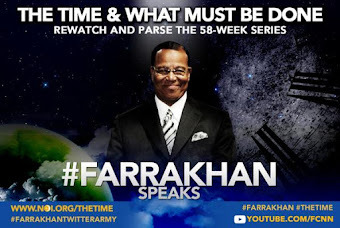 Student Minister Yahcolyah Muhammad, the Rockford Representative of the Honorable Minister Louis Farrakhan, and local head of the Nation of Islam Rockford Study Group, said when people see words becoming deeds and talk becoming action, they are motivated and inspired to do likewise. “For so long, many outside of our community have provided our basic needs and we’ve become a consumer people, but now that we are seeing that we cannot only be consumers but owners and producers, it can change the narrative, and it can change the psychology of our neighborhoods, Student Minister Yahcolyah Muhammad said. 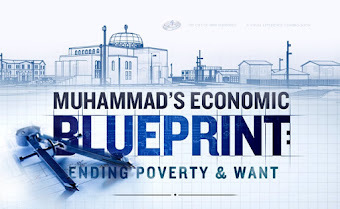 “We have to get busy with doing the work of making our communities decent places to live, so the Honorable Elijah Muhammad’s blueprint for economics and community development must be applied throughout the entire country and definitely here in Rockford,” he said. Kikifer’s Beauty Supply is located at 3424 N. Main Street, Suite A, Rockford, Illinois 61103, phone: (815) 708-7082. For more information, visit: www.kikiferstore.com. (L) The parents of Nipsey Hussle, Angelique Smith and Dawit Asghedom speak onstage during his Celebration of Life at Staples Center on April 11 in Los Angeles, California. (center) Samiel Asghedom speaks onstage during his brother’s Celebration of Life at Staples Center on April 11 in Los Angeles, California. (r) The Honorable Minister Louis Farrakhan, National Representative of the Honorable Elijah Muhammad and the Nation of Islam, speaks onstage during Nipsey Hussle's Celebration of Life at Staples Center on April 11 in Los Angeles, California. LOS ANGELES—Hip hop’s prophetic voice is gone but the light that Nipsey Hussle offered to his neighborhood has spread and will light up the world, said family members, admirers, close friends, fellow artists and those who stood before thousands of people inside the Staples Center Arena to honor his music, his vision and his commitment to bringing life into the place where he grew up—and a place he never left. The three-hour service was touching, inspiring and genuine as everyone from his mother to his father, his brother, his sister, the love of his life, his comrades, music greats, ministers and even former President Barack Obama spoke of the impact a man born Ermias Asghedom had and how his legacy must live on. “The name Ermias in the language of the Eritrean people means ‘God Is Rising.’ The name Nipsey in that same language means ‘homie,’ a brother from the ’hood that never really left the ’hood. 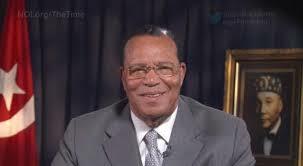 But now the world will embrace him as his life and his death changes the ’hood and produces a profound change in the world,” said the Honorable Minister Louis Farrakhan of the Nation of Islam, who offered words April 11 at a memorial service streamed online around the world and carried live on several TV networks, including BET Television and local TV stations in the City of Angels. Photos are displayed during Nipsey Hussle's Celebration of Life. The Minister’s words were applauded as he urged the hip hop community and Black youth to turn away from violence in honor of Nipsey, who rose out of gang life in South Central Los Angeles and envisioned building a healthy oasis in the place where he grew up—and where many still struggle. “Neighborhood Nip” might seem too simple for a man of profound work but his work was rooted in his neighborhood and crossing ’hood boundaries through music collaborations and supporting good works and progressive activity. He loved members of the Rolling 60s Crips, his homies, but worked with rival sets and Bloods, another street organization. The Crips and the Bloods once were sworn and deadly enemies, but Nipsey worked across the boundaries of the blue-clad Crips and the red-clad Bloods to keep gangbanging out of music and to present an example of how the groups could co-exist and have mutual respect. After his death March 31, allegedly at the hands of Eric Holder, Jr., who is a reputed member of the Crips street organization other gangs declared a truce and held a peace walk in Nipsey’s name. Mr. Holder is under arrest and charged with murder. Nipsey Hussle performs during his 'Victory Lap Tour' at The Warfield on June 27, 2018 in San Francisco, California. Musical, video and personal tributes punctuated the service, showing Nipsey and his brother, Samiel, as children and their journeys to Eritrea, the homeland of his father, Dawit Asghedom. Two trips to Eritrea, one at age 18, had a profound impact on Nipsey, who was the son of a Black American mother, Angelique Smith, and an African immigrant father. Speakers shared how Nipsey showed brilliance as a child, testing for gifted classes at his own demand, building a computer from scratch and creating software to record his music and always having an entrepreneurial spirit. He would leave school as a teenager to pursue his music and was involved with neighborhood young people in street life. Yet, he was different, charitable, humble, self-educated and willing to chart his own course. His first major label album, “Victory Lap,” was nominated for a Grammy Award earlier this year, but his legend is tied to how he used a scarcity model to promote himself. While others were giving music away, he sold 1,000 copies of his CD “Crenshaw,” for $100 each, with hip hop guru Jay-Z snagging 100 copies and sending him a check for $10,000. With money from that endeavor and others, Nipsey, joined by his brother and other partners engaged in business ventures. Police gave them problems when they tried to turnaround an abandoned shopping center and make it a viable business center at Crenshaw Blvd., and Slauson Avenue, said his brother, Samiel Asghedom, at the service. But the owners of the L-shaped plaza, where Nipsey once sold CDs out of the trunk of his car, offered to sell the young hustlers the property, instead of evicting them as police wanted, said Samiel Asghedom. Somehow, said Nipsey’s older brother, they raised the money, purchased the plaza and opened the now iconic The Marathon product store, where ex-felons could find work. The smart store connects high technology to its clothing and other products, with customers able to scan tags for information and messages. Other blocks nearby were purchased and new businesses were started as well as an inner technology co-working space, Vector 90, which also houses a science, math and technology program for children and provides technology access for area residents. His work was also an example of how residents fearful of being pushed out of the Crenshaw neighborhood could resolve the problem by buying up the blocks. 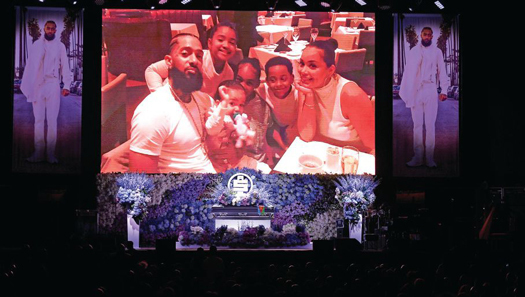 Blue and white were dominant colors at the funeral but all colors were welcome with Nipsey’s casket surrounded by a wall of flowers with a huge screen in the background which showed home videos, family videos from trips to Eritrea, clips from his music videos and interviews. (l) Snoop Dogg speaks heartfelt words on stage about his fellow artist and friend. (r) Stevie Wonder performs on stage during Nipsey Hussle's Celebration of Life at Staples Center on April 11. Music was performed by Stevie Wonder, which reflected verses from a song Nipsey wrote that mentioned playing the musical giant’s music at his funeral. Marsha Ambrosius offered an emotional rendition “Fly Like a Bird,” later Anthony Hamilton offered a song as part of uplifting musical tributes. Rapper YG, who is a Blood, talked about how Nipsey was like a big brother with their conversations about raising daughters, business and books. “I’m going to miss you bro,” he said. Dawit Asghedom and Stevie Wonder spoke out about the level of violence in America and the need to combat violence. Stevie Wonder called for stronger gun laws. Father Thomas Uwal, an Eritrean priest, offered words of consolation, sometimes speaking in Tigrinya, the native language of Nipsey’s father, and then translating those words into English. “Ermias was young. Ermias was visionary. Ermias was energetic. Ermias was full of hope. Ermias was full of life. Ermias was full of dreams. Ermias’s leaving was sudden and unexpected,” he said. “In times of challenge, in times of trouble like this, we hold on to our faith because God can heal our heart. God can comfort us. God can meet us every step of the way. The scripture said, Do not fear, for I am with you. Do not be dismayed, for I am your God. I will strengthen you and help you and uphold you with my righteous hand.” Isaiah chapter 41, verses 10. Rapper Snoop Dogg, who asked the audience to bear with him as he spoke of his brother and friend, shared how Nipsey’s initial approach was different, instead of promising to make a million dollars like most rappers seeking a record deal, the Crenshaw-bred artist simply asked Snoop to listen to his music. That was different, but Snoop didn’t listen at first, but later he did—from there came a relationship and collaboration. Nipsey was so far thinking that he advised Snoop to start his own theme park based on Snoop’s brand and his music. The Long Beach, Calif.-bred rapper admitted he didn’t fully understand. But, he said, Nipsey built his own version of the theme park with his business, The Marathon Store, and his brand. YG and DJ Mustard attend Nipsey Hussle's Celebration of Life at Staples Center. Nipsey Hussle was shot and killed in front of his store, The Marathon Store, on March 31, 2019 in Los Angeles. The service and the influence of Nipsey Hussle was illustrated by a letter sent to the family and read during the memorial from the first Black president. Former President Obama said he learned of Nipsey through his daughters, respected his work and called for its replication. The crowd applauded with gusto as the letter was read by blogger Karen Civil. “While most folks look at the Crenshaw neighborhood where he grew up and only see gangs, bullets and despair, Nipsey saw potential. He saw hope. He saw a community that even through its flaws taught him to always keep going. He chose to invest in that community rather than to ignore it,” Mr. Obama wrote. Outside thousands pressed to get inside the downtown arena where vendors outside offered food, t-shirts and keepsakes, but the throngs were anxious to get in, despite heavy security and a lockdown of the arena. Not even the media could enter an outside working space, unless they had tickets. Nipsey’s music floated over the din of voices and congested traffic in the streets near the Staples Center as people posed for selfies, embraced one another and asked a passerby if he had an extra ticket. The proud West Coast rapper began his career in the mixtape circuit, selling his albums from the trunk of his car in Crenshaw. They were a success and helped him create a buzz and gain respect from rap purists and his peers. In 2010, he placed on hip-hop magazine XXL’s “Freshman Class of 2010”—a coveted list for up-and-coming hip-hop acts—alongside J. Cole, Big Sean, Wiz Khalifa and others. 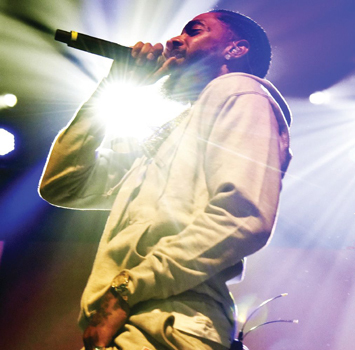 Nipsey, once signed to Sony’s Epic Records, hit a new peak with “Victory Lap,” his critically acclaimed major-label debut album on Atlantic Records that made several best-of lists last year, from Billboard magazine to Complex. At this year’s Grammy Awards, “Victory Lap” was one of five nominees for best rap album in a year that saw hip hop dominate the pop charts and streaming services, and debates ensued about which rap albums would get nominated since a number of top stars released projects, including Drake, Eminem, Kanye West, Nas, J. Cole, Nicki Minaj, Lil Wayne, Migos and DJ Khaled. Cardi B’s “Invasion of Privacy” won the honor in February, while the other nominees alongside Nipsey were Travis Scott, Pusha T and Mac Miller. Beyoncé and Jay-Z, legendary rapper Master P, and rapper Meek Mill were among stars at the Staples Center memorial—where many pointed out the only larger funeral was the 2009 homegoing for Michael Jackson. 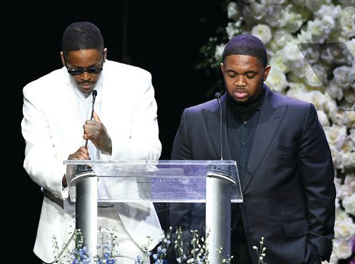 Perhaps the most touching moments during the funeral were when actress Lauren London, with Nipsey’s children and her children by her side in their blended family took the stage. Baby Kross, who is the product of the love of Nipsey and Ms. London, grabbed the mic several times though he could not fully speak. Nipsey’s daughter Emani, from a previous relationship, declined to speak but Kameron Carter, the son of Ms. London and rapper Lil Wayne, shared a dream he had about Nipsey after his passing. “I realized Ermias told me what heaven was like. He told me it was paradise,” Kameron said. He asked the crowd to join him as he counted down from three to one and asked the crowd to repeat the word “respect,” a special saying he shared with Nipsey. The hearse carrying Hussle’s coffin went through a 25-mile lap through the city, including past the property where Nipsey had planned to turn an aging strip mall into new businesses and affordable homes. Thousands of people crowded the streets, some on bicycles and motorcycles, following and surrounding the vehicle as it slowly wound its way to the funeral home. The silver Cadillac passed the rapper’s childhood home in Watts. It came to a halt at times, unable to move in the vast crowd of people. 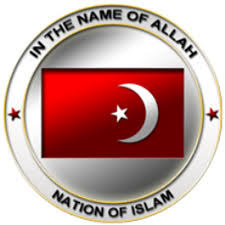 The Fruit of Islam of the Nation of Islam, who were present throughout the weekend giving away nearly 150,000 free copies of the Nation’s Final Call newspaper, keeping the peace and consoling mourners at the memorial in front of The Marathon store where Nipsey was shot, shepherded the hearse through the massive crowd. Tony Muhammad, who has been serving the family, was right up front, helping to ease Nipsey’s journey. Perhaps as a sign of the work yet to be done, police reported an April 11 drive-by shooting of three people in the Crenshaw neighborhood after days of relative calm. One person died, according to police. Still it didn’t dampen spirits, it bore witness to the powerful testimony of Ms. London who remember Nipsey as her protector, soul mate, and love. “The marathon continues!” she said, closing her heartfelt message as the Staples Center crowd roared its approval. Nipsey’s signature saying was life is a marathon.